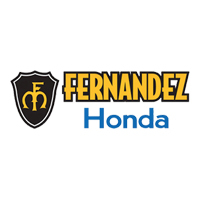 When it’s time to get your vehicle serviced, repaired, or upgraded, then there is no better place to get it serviced than Fernandez Honda in San Antonio, TX! Our service center is second to none, and we take an immense amount of pride in the work that we do. We offer many service specials for our customers to help them not have to break the bank when they come into our dealership for their next service. When choosing where to go for your service, you have a decision to make. You can either go to the random auto shop on the street corner or go to a dealership. Both may get the job done, but there are some distinct advantages to coming to a dealership rather than any other auto shop. So as you can see, there are several advantages to coming into a dealership to get your vehicle serviced, and so when it’s time to get your vehicle serviced, come into Fernandez Honda in San Antonio, TX! Make sure to take a look at our specials, to give us a call anytime at (210) 253-8500, and to visit our service center at 8015 IH 35 S., San Antonio, TX 78224.